Birkin bag is a handmade purse made in France by the Hermes Group, which was originally founded by the Hermes family in 1837. It does not bear a logo, but its unique design and limited production make it one of the most sought after bags in the world. Named in honor of the first Birkin owner, European actress and singer Jane Birkin, the Birkin bag made its public debut in 1984. The Birkin is not mass produced and, therefore, it is a far more exclusive bag than many other luxury purses and accessories. The high sticker price for a Birkin bag also takes it well beyond the average price range of most consumers and propels it into a status symbol for the very wealthy. 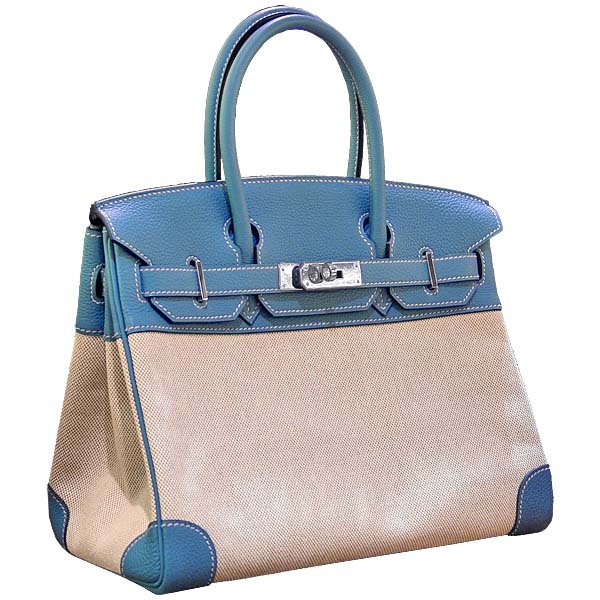 While Hermes is noted for high-priced fashion accessories, in general, the Birkin bag far exceeds all other purses in the Hermes lineup. Bags begin at just over $7,000 US Dollars (USD) and, because each one is customizable, many are priced as high as $150,000 USD. For several years after the bag’s debut, the Birkin was only attainable by a waiting list that was, at times, two years long. Hand-stitched in France by a single skilled craftsman, each bag consists of the finest animal hides, which must be flawless. Some of the animal skins used include ostrich, lizard and crocodile. Searching for exotic hides for the Birkin bag may take up to two years and the workmanship may take another two weeks, which means that only a few Birkin bags are completed per week. Although pricey, each Birkin is created to last for a lifetime. While a knock-off Birkin bag may look attractive, it’s the attention to detail that has made these particular Hermes purses so popular. Each thread used to construct the bag is first coated in beeswax before used to hand stitch the hides together. Once constructed, each Birkin bag is fitted with 14-karat gold hardware, is hand-buffed and painted, and the bag’s seams are individually polished. Working several hours per day, each purse takes as many as 25 hours to create.